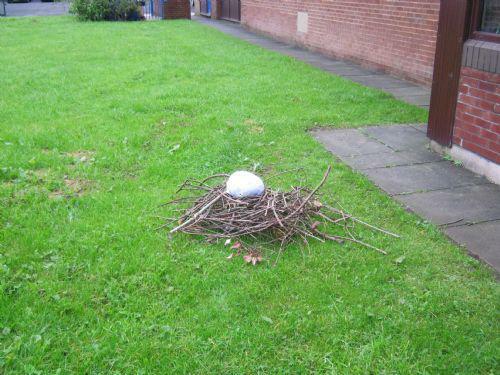 On Monday Year 1 and Reception made a startling discovery - a giant nest with a large egg, outside our classrooms! All week the children have been investigating which animals lay eggs to try and guess which creature could have left their nest. 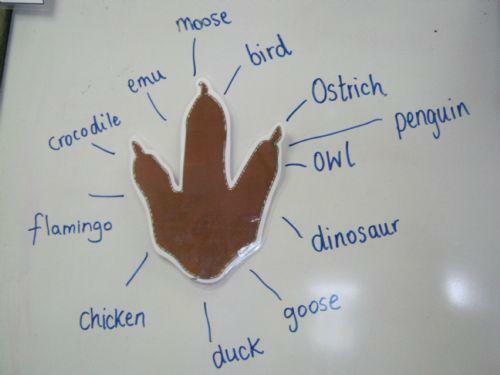 Children's guesses included an ostrich, penguin, snake, caterpillar, crocodile, dinosaur, flamingo and turtle. The mystery creature kindly sent us clues throughout the week hinting at what it could be, including a footprint and descriptions.